Bail bonds are not one size fits all. If you’re looking to become a licensed bail bond agent, then you need to understand the different types of bail bonds. Of course, there’s more to becoming a bail bond agent than just knowing the bonds. Here are the types of bail bonds you should know. As its name implies this type of bond is bail that is paid in cash. Any bail can be paid in cash, though most people don’t have the cash on hand. Some jurisdictions may accept cashier’s checks or credit cards to post bail. For certain crimes, the judge may require that only cash may be used for bail. This is usually the case for crimes for which bail can’t be denied, but the accused is considered a flight risk. In these cases, the bail is set prohibitively high to make paying likely impossible. These are not available in all states and jurisdictions. These bonds are similar to cash bonds, though the property replaces the cash. However, it can take longer to process than a cash bond. The property is put up in lieu of the cash bond. But in this case, the property is generally valued at twice the bail amount. As the court has a lien on the property, it can take possession of the property if the defendant fails to appear in court. 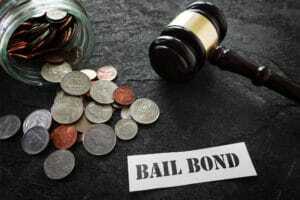 Surety bonds are the easiest method of posting bail. These are commonly referred to as bail bonds. This is used when the accused doesn’t have access to cash or property to post bail. A bail bondsman can be used to post the bail in such cases. The defendant secures a surety bond by paying 10% of the bail amount to the bondsman with the promise to show up in court at the set date. Some bail bondsmen may be flexible on payment terms in case the defendant or third party does not have the full 10% at the time. After the court date, the cash bail is returned to the bail agent and not to the defendant. As the name implies, federal bail bonds are for federal crimes. Bail agents generally are not involved in posting bail for federal crimes. Federal bonds can be in the form of property or cash bonds, depending on the situation. These are only for non-citizens and non-residents. A bail agent may work with these types of bail bonds, but they are a specialized type. In these cases, the defendant is usually arrested by U.S. Immigration and Customs Enforcement (ICE). Illegal immigrants are generally given the option of a delivery bond or voluntary departure to their country of origin. In any case, the immigration bonds take the form of cash or surety bonds. It’s important for bail bond agents to understand the different types of bail bonds to be able to serve their clients. But there’s more to becoming a bail bond agent. You also need to understand the process for posting bail for clients. If you’re ready to become a bail bond agent, contact us to get started.